The 611 Membership is an annual membership for the Virginia Museum of Transportation designed for fans of the Norfolk & Western Class J 611 Steam Passenger Locomotive. As a member, you help the Virginia Museum of Transportation keep the Class J 611 in top condition so that future generations can experience the beauty and power of the last Class J locomotive in the world. 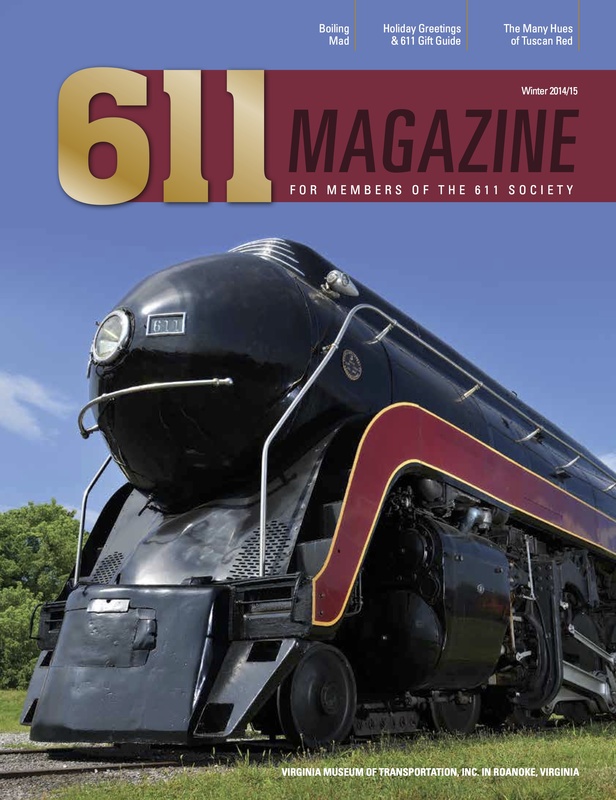 Your 611 Standard Membership entitles you to a subscription of the 611 Magazine which is published two times per year. Every issue blends rich articles and amazing photography with the expertise of the historians of the Virginia Museum of Transportation, the Norfolk & Western Historical Society and the National Railway Historical Society. 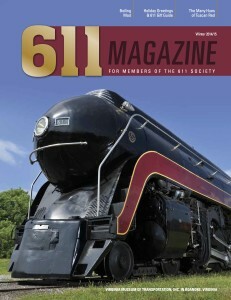 The 611 Magazine is a celebration of the history, design, power and beauty of the Class J 611 Steam Passenger Locomotive. All the benefits of the 611 Family Membership. The Virginia Museum of Transportation is an independent non-profit 501(c)(3) organization. Memberships and donations are tax deductible to the full extent as allowable by law.